Last Wednesday, “Young Justice” #1 hit the stands, signaling the start of ‘Wonder Comics,’ the new DC imprint from Brian Michael Bendis. The book did a number of things really well, but mostly signaled the tone that Bendis would be bringing to this new line. That same day, I was able to hop on the phone with Bendis to discuss the book, the new imprint, as well as a hell of a tease. The first thing I took from “Young Justice,” and what I think I’m getting from ‘Wonder Comics’ in general, even though I don’t know, I’ve only read the one issue, is just this real celebration of DC’s youth. And you’ve been a writer that’s focused on young characters for a long time. What is it about the younger characters of the DC Universe that’s speaking to you right now? Brian Michael Bendis: Well, it’s not the younger characters, it’s really the characters that are at that moment wherein they’re trying to figure out the world, you know what I mean? It’s like you’re not quite a child, you’re not quite an adult, but a lot is expected of you. It was one of the scenes of “Ultimate Spider-Man,” and it was one of the scenes of the original Spider-Man, and quite a few other characters, where just the world is saying, “Yeah, you got to grow up now. You don’t get to choose when. And the world isn’t fair on levels you may not have considered, and what are you going to do with it?” And these questions, I mean, I guess probably these are questions that I will always be wrestling with personally, so I, you know, am looking for stories and characters to work it out, you know? But it just seems that comics in general have, in some way, always been about that, right? And when I got to DC, and was looking around, and seeing what was happening, and Dan [DiDio] had mentioned doing a popup imprint like this. And I was like, oh, my goodness, I didn’t even think of something like that. What would that be? And then I started looking around, I go yeah, you know what’s missing is this, is these characters of this moment, you know, telling the story. And also at a very, very specific time in DC history. There’s a lot of really big, giant, great stuff going on at DC that these characters haven’t been able to reflect on, right? And a lot of status quo changes in the big families. So I said to Dan, “Yeah, let’s think about these characters.” And Dan just pointed at me with big eyes and said, “Young Justice!” And I didn’t realize that the characters had been so beloved, and really, deeply loved, and not on the shelf right now. So it was something that was bothering him and quite a few other people at DC. So when I raised my hand and said, “Hey, how about the …” It was a need that needed filled, and I had mentioned it, so I was so happy that these were available. And when I announced it, it was so funny, because it was, it was like the sound of 11 deep fandoms all smashing together as once. It was a very unique experience. Yeah, and what’s been so cool, at least on this end of the reading experience, is that it’s not just that you’re bringing the characters back, but the first issue was so celebratory, and it felt like this real acknowledgement that these people are beloved, they are important, and they are back, let’s all celebrate that. And that was such a cool thing. I know it’s only been out a day or so [at the time of this conversation – ed. ], but what has the reaction been like for you? What are you hearing from fans about the way these characters returned? BMB: Oh, dear Lord, you can see it on my Twitter feed. I’m sure [DC’s PR team] are high fiving each other all day. It’s been wonderful. I mean, that’s the one thing I can’t, on any level, control is the reaction. All you can do is your best, and your most honest work, and hope for the best. But there’s always so many external forces that could make or break a launch, or make or break peoples’ enjoyment of it, you know? And so, at about 4:00 this morning, when the book hit in England and a few other places, the sound was enormous. It was on Twitter, it was like dozens of people already, at 4:00 in the morning, having a blast with it. So I woke up today to just this hurricane of love. And it really is, it’s because every single character in the book is someone’s favorite character, not just a few people, but a lot of people love Impulse, and love Conner, and love Tim Drake, and love Cassie. And so, and you take those characters and add new characters, and people are very excited about new characters, particularly legacy characters, and I was so happy to be able to deliver genuine moments of each of these characters right away. So yeah, the reaction was enormous. But you know what was funny, too, it was like the minute I had signed on to DC, this plan, this Young Justice plan was well underway, but we didn’t tell anybody, and I got hit with so many hashtag ‘bring back Conner Kent,’ like, right away, the minute I entered the world of DC comics. They were like, people were just pummeling me with hashtags about Conner Kent, and I was laughing, because it was one of the very few times where people were yelling at me about something that I could actually do, and was actively doing something about, but they didn’t know. And I did, I wanted to go on Twitter and [whispers] “don’t worry about it, I got you,” but I couldn’t. You know, but it was a very nice today to have these fans, who have been so passionate, and very nice, by the way, not that crappy, like there are some people can just start yelling at you right away. But they are very passionate, because they were like, we think you’d like this character as much as we do. I’m like, I do, that’s why I’m here. So it was just great to be able to deliver it so immediately to such passionate fans, yeah. And also, there’s fans that are, like, really big fans of Amethyst, and Wonder Twins, and “Dial H” they have been running websites and Twitter feeds about them for years with like no new material coming out. So this has been so exciting for everyone to be able to stand up and go yeah, no, these are the coolest things … among the coolest things that DC has, and we get to celebrate them. Well, that’s actually where I wanted to go next. So, you know, “Young Justice” is the seed, the kernel, that is at the center of ‘Wonder Comics,’ but you’re expanding the line very shortly into brand new characters, into new takes on beloved characters, and into just bringing back some of these other characters. BMB: Well, as far as the tone and flavor of all of it, I think “Young Justice” #1 does a very good job of setting the table for people who want to know what ‘Wonder Comics’ is going to feel like. “Young Justice” #1 is a very good base for us to start, and we took that very seriously. And from there, Dan said, “Young Justice,” and I pointed to him and was like, “Dial H for Hero.” And he looked at me like, oh, so it’s going to be one of those? But I deeply think that “Dial H for Hero” was one of the best ideas in comics, any comic book anywhere. I thought it was great when I was a kid. I think it’s great now. It’s amazing, and it only gets better with time, and so everyone would agree with that. And I called him up and I said, “Sam, Dial H for Hero.” He goes, “Great! What is that?” So we dove in together, and he he said “wow, this is a very good idea.” So he dove in head first with Joe [Quinones], and that was exciting. And the other thing I desperately wanted to do was Wonder Twins. I do, I love them so much, not in a shtick way, not in a cheeky way. I think they’re amazing, and I think they have all the things that DC…they have the most potential. They have the most elements of, like … almost like a Peter Parker, like, they’re such a fish out of water story, and it’s so unique, and it’s so funny, and it’s so quirky. And I called Mark Russell, who I don’t know, but who has turned books that you wouldn’t imagine being award-winning gold into award-winning gold almost every time he’s put pen to paper. So I called him up and I said, “Well, this is either going to be something you’re going to go yes! Or What?” And I go, “Wonder Twins.” He goes, “I’m in.” And I go, “Great,” and immediately got it. He immediately put together something brilliant, and five times better than the thing I was already thinking of. So yeah, this made me very happy, but the next surprise that we’re really bringing everybody is “Naomi.” Naomi is a character created by myself, and David Walker, and Jamal Campbell, and it’s a brand new character who lives in the DC Universe, and her life is completely turned upside down by a very quick cameo by Superman that sends her on a quest that will end up unlocking a door in the DC universe that opens up something enormous for her and for everybody else. And, you know, part of this deal I have with DC comics and this ‘Wonder Comics’ situation is that I’ve been kind of set up to create brand new stuff, like new characters, new things, new toys, new everything, just like, you know, put stuff in the toy box, and Naomi is bringing an enormous amount of stuff with her. That’s really cool, because I think that sometimes, you know, when you get dropped into that new sandbox of things to play with it’s so easy to say I want to grab Superman. I want to grab this and do these things, but it’s something else to create within that world, and bring something new to that world. And I think that if you just look at your relatively small body of DC work so far, every book you’ve touched has felt both classic and new at the same time. I host a DC podcast, every week we’re reading, essentially, every book DC is putting out, and every time we get to a Bendis Superman comic, we have the same reaction. Your run feels free, and there’s a moment or two in each issue where some classic Superman moment is nailed. There is something about it that feels so classic. So when you’re dealing with these classic characters in this brand new setting, in a new company, and you’re being thrown into all of this, how do you create something that feels apiece to that, but also feels brand new? BMB: Truthfully, it’s an enormous challenge, because beyond all that you also want it to be something no one’s seen before, in a sea of pop culture that is showing us everything, all the time. You know, there are so many books, and so many shows, and so many movies. There’s a lot out there, right? And so, to come up with something that speaks to something new for this generation was something that was very important to us. The headline of Multiversity next week, by the way, is “Brian Bendis compares himself to Jack Kirby,” just letting you know ahead of time. BMB: But what is similar is that, you know, many years ago, when he came to DC, they kind of cleared the lane and said, “Create stuff, go nuts,” and he created the new guys, and the Fourth World, and a bunch of other stuff. He did, he went crazy, right? And some of it, it hit right away, and some of it, it took years for people to even appreciate. But he went nuts and created. And you can’t help but go well, why isn’t that the lesson then? Not to create Fourth World again, but to create something as big and magical, or at least try to create something as big, and magical, and creative as you possibly can from your perspective, right? So it just seemed that, like, that was the lesson learned by Jack Kirby and other creators that have been able to do this was, you know, at least try to blow the roof off the place. And so, I came to David [Walker]. David and I, you know, we teach together at Portland State. We’re actually starting again this Friday. We teach writing graphic novels on a college level, so every semester we’re standing across a room from each other co-lecturing about the finding the creativity in your own voice, and we keep looking at each other like we’re going to have to do this together. Like, there’s no doubt that this…your energy and my energy are going to have to form together and create something, and “Naomi” was absolutely it. So, it was the mixture of the two things, you know, a lesson that we’re teaching ourselves as professors, and also, man, it’s just a book I want to read. It’s just a book I wish people were making. That always comes down to the most simplest answer, but every time I put a new book out, I look at it and go, would I buy this book? Yeah, I want this book. That’s why I made it, because no one else was making it. So there you go. And I got to say, and so, the surprise of all this was Jamal Campbell. Like, I’ve known Jamal’s work for a couple years, but Jamal hit that next level just before he signed up with us. And as people will see in the first issue, this is an artist having a truly beautiful moment. And I’ve been there for a couple of them over the years, particularly Sara Pichelli and David Marquez. You know, they came in and then they just rolled up their sleeves and blew the roof off the place. And Jamal has done that with “Naomi,” and when people see her authenticity it’s going to be a deep reflection of Jamal. I did want to talk about your artistic collaborators on this imprint so far, because, I mean, you’re bringing in some incredible talent here. And it’s no secret that Patrick Gleason is an all star, right? But you’re looking at that first issue of “Young Justice,” and it’s just this beautiful, flowing, kinetic, really incredible first issue. When you’re looking for artistic collaborators on a project like this, what are some of the things you’re looking for? Are you looking for familiarity, folks you’ve worked with before? Are you looking for new things? Are you looking for a particular style? Or is it just a case of, well, these guys are at DC, I haven’t had a chance to work with them, let’s see what happens here? BMB: Well, all of the above, but really, in this instance the special thing was … I was always a big fan of Pat’s. Pat just feels like this generation’s Michael Golden to me, and I mean that in the highest compliment. I just adored his stuff. And when I came to DC, you know, there was a few people who I never thought I’d ever get to work with because we were just on the other side of the street. Pat was one of them. Ryan Sook was one of them, Ivan Reis another. And I was excited to raise my hand and go hey, are they available? Are they interested in working with me at all? And Pat was, and signed on to do “Action Comics.” And then as soon as we started working on “Action,” these gorgeous pages were coming in it also became very clear that his collaboration with Peter Tomasi on “Superman” was very intimate and personal. Now, some collaborations are very businesslike and very friendly. I mean, like … Like a perfect example, like I don’t know Stuart Immomen at all. We were not friends. We don’t know each other, but we did great comics together. Whereas David Marquez, he’s one of my best friends now, after making comics together. Sometimes it really brings your families together and you become very close. And I did not know, when I offered this to Pat, that Pat had already begun work on his version of what “Young Justice” would be. He wanted to do a “Young Justice” book before he’d ever even met me, and he was putting together ideas, and one of them was Team Lantern. And he says, “Yes, I want to do “Young Justice.” I want to do it desperately,” and showed me all his stuff. And I’m like, well, I guess this was meant to happen, that’s fantastic. Obviously, that doesn’t always happen, that it made you feel like, as we’re embarking on an imprint and all this scary stuff, and all these characters, and 11 fandoms all at once, smashing together, that Patrick was not only perfect, but essential to the launch. We squeezed a double sized first issue out of him because we really wanted to hit the ground running with like a big Pat Gleason explosion of awesome. You mentioned Jack Kirby before, and I saw a quote from you today that fascinated me, and I have to follow up on, which is that you said that you think that Gemworld, in some ways, is every bit as cool as the Fourth World. BMB: I do. I do. And I love that, because that’s a bold statement. For a lot of our listeners, they probably aren’t super familiar with Gemworld. So what is it about that world, and those characters, that speaks to you so much? Maybe, you know, fill in our readers as to what they can look forward to from Gemworld under your pen. BMB: Well, Gemworld was part of the DC explosion back in the ’80s, and was a lot of range of concepts and creations that were being thrown out there a la, you know, Booster Gold and Blue Devil, they were all coming around around the same time. And Gemworld was about Amy Winston, who finds out that she is actually part of a royal guard of a magical land with big, you know, heavy influence into the world of sword and sorcery, but its own thing, much like the Thor movies have turned into, where they kind of like amplified parts of the genre and de-amplified other parts to almost create something brand new. I think Amethyst and Gemworld was doing that back in the ’80s. I think they had used the template of sword and sorcery to build something brand new, and I was really excited about it. And I think some of those designs are among the best that they’ve ever seen. And, you know, there’s tons of fans that feel this way about a lot of stuff where, you know, something like the Fourth World, which is gorgeous, and genius, and deserves all of its praise, but then you look around and there are a couple other things just like that that don’t get as much love, and I always thought that Amethyst and Gemworld was one of them. So it was a great. You know, it’s one of those great joys of my life, and I got to do it at Marvel quite a few times, and now I get to do it at DC, where I get to just present some great idea that inspired me for so many years, and show it off, and tip my hat to the creators. And it was so nice that Dan Mishkin was so excited about what we were doing with her, and saw the love of which we were approaching Gemworld. So what you’re getting is a reintroduction of this great land in the DC universe. It’s this amazing toy box full of 12 houses of the Gem, and princes, and princes, and warriors, and flying horses, and all kinds. And by the way, a phenomenal villain, like an A-list villain in Dark Opal, great villain. Great design, too. Phenomenal design in the original. BMB: Well, and they made those ads, I kind of had to. BMB: I had no choice. I am sure that you were keeping abreast of DC stuff when you’re writing at Marvel, and you’ve always been a fan. And so, it’s not like you’re learning all this stuff from scratch. But what’s been the biggest thing that you’ve been surprised about once you get into working at DC? Once your fingers are in the DC Universe, what’s the thing that surprised you the most? And then, coming out of that, what do you hope to do with that surprise, with your writing? BMB: That is such a complicated question because I have so many answers to it, but what’s fascinating to me is … You know, originally I was fascinated by how DC and Marvel actually do things very differently. They actually make their books very differently, and it’s fascinating how much is different to get to the final result. And just as a process nerd, I am just blown away by that, and I’ve been applying all of this new stuff to my stuff to see what it feels like, and its been very exciting and scary, and I think that extra little spark, or edge, of doing Superman has a lot to do with that. So there’s that, but what’s, I think, the most interesting, is Marvel, their continuity never rebooted, you know? It’s still pretty much a straight line, even though it’s… it’s a wobbly line, but it’s a straight line. Whereas DC has had some reboots and, you know, re-dos, and so the audience’s relationship to some of this stuff is more emotional because of it, like, right? They get very worried about their characters in a way that Marvel fans don’t always. And for someone who likes to tease and torture people on Twitter, that’s a lot of fun. Like, I’ve been posting panels from “Legionnaires” of Superboy making out with members of the Legion, that happened, that people forget, and it’s a lot of fun. And also, I’ve figured out that the Legion [of Super-Heroes] fans are as passionate as X-Men fans, and that is something I’m very fond of, and very excited to play around with. I don’t know what I mean by that. I’m not saying I’m doing anything with “Legion.” I’m just saying it’s fun to play around with expectations. Of course. We can read nothing into that statement, I understand. BMB: But if you are a Legion fan, buying “Young Justice” is a big vote towards a Legion reboot, just saying. Just saying. 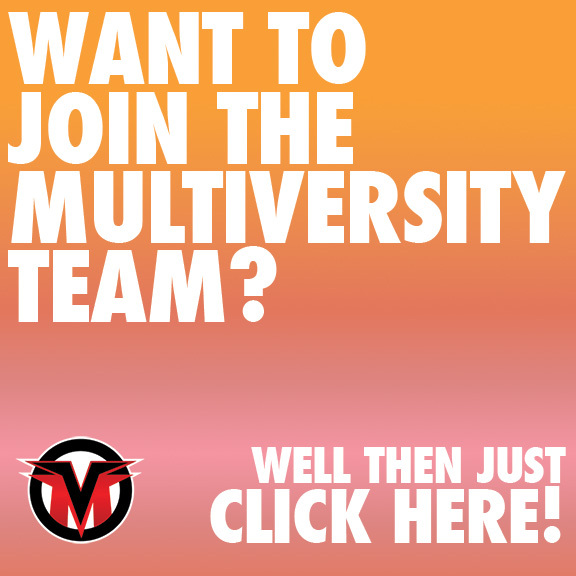 Brian Salvatore is an editor, podcaster, reviewer, writer at large, and general task master at Multiversity. When not writing, he can be found playing music, hanging out with his kids, or playing music with his kids. He also has a dog named Lola, a rowboat, and once met Jimmy Carter. Feel free to email him about good beer, the New York Mets, or the best way to make Chicken Parmagiana (add a thin slice of prosciutto under the cheese).